Read up on all the latest hot tub news in Saskatoon. One of the greatest advantages of owning an all season pool is that you can use it all year round, even in the dead of winter in Saskatoon! 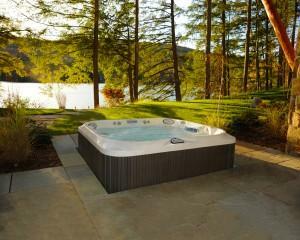 Due to superior installation and energy-efficient designs, swim spas trap and re-use heat, which offers the added bonus of costs so low that you can indulge all year round. Here are some tips to ensure that you can enjoy your swim spa during every Saskatoon season. Written on Wednesday, April 24, 2019. A swim spa is the height of luxury. These amazing spas are large enough to swim in while also featuring the jets and warm waters that make spas so relaxing. When using a swim spa, however, you do have to remember to remain hydrated. If you don’t, you may start feeling dizzy. To ensure your best health, here’s why it’s so important to stay hydrated while using a swim spa. Written on Friday, March 29, 2019. The health benefits of soaking in a swim spa never cease to amaze us. Even our team of experts at Premium Home Leisure in Saskatoon can’t believe what a difference they can make in an individual’s life. One of the many features found integrated into each and every Hydropool Swim Spa geared toward health and wellness includes interior lights. These lights can be used for a chromotherapy, or color therapy, session. In this article, we’re going to take a closer look at what chromotherapy is, how it helps and how you can engage in your very own session at home in an outdoor swim spa. Written on Wednesday, January 23, 2019. 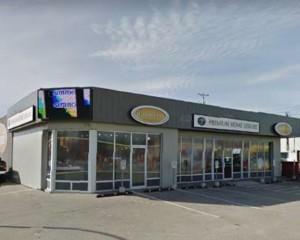 For the past 15 years, Premium Home Leisure has been proudly serving Saskatoon and surrounding areas with the best hot tubs, hot tub parts and the best customer service in the area. Now, we all know that taking a dip in a hot tub or spa can leave us feeling fresh and renewed. But what most people don’t know is that they can also provide us with all sorts of other health benefits as well. Below, we’ll go over a few of the things you can do in a 4-person hot tub. Written on Monday, October 15, 2018. If you’re a frequent swimmer, one of the major concerns you have to face is the durability of your swimsuit. Investing in a higher-quality swimsuit may come at a steeper price, but for good reason. More expensive swimsuits tend to last longer, help you perform in the water better, offer a better fit and are usually more stylish. If you don’t take good care of your swimsuit, especially when wearing it into the hot tub and swim spa on a regular basis, you risk damaging the quality and ruining the suit altogether. Here are some things that you can do to improve the quality and lifespan of your swimwear. Written on Friday, June 15, 2018. Are you thinking of purchasing a grill this summer? Grilling your food is most definitely one of the best ways to enjoy quality time with your friends and family. You get to make and eat home-cooked food and experience a relaxing time with people you love. However, you need certain backyard essentials to have the perfect outdoor cooking and eating station, along with your grill of course! 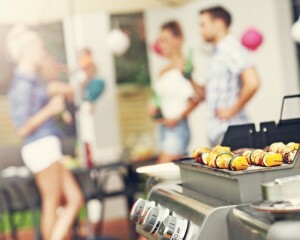 That’s why our team of backyard living experts at Jacuzzi Premium Home Leisure have gathered some of the best tips and tricks to help you buy the perfect grill for your backyard and accessorize it perfectly. Written on Wednesday, May 16, 2018. Whether you have a BBQ, grill, or smoker, cooking in it while dirty is not advisable. Not only is it unsanitary, but the food won’t taste the greatest. 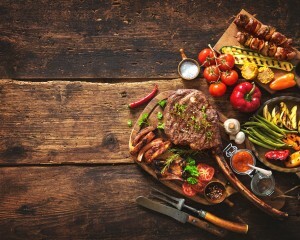 Since you have a few months of summer and you want to fully put them to use, having a bad-tasting grilled steak or other barbecued foods is the last thing you’d want. Therefore, you should spare some hours and flex your muscles to clean your BBQ and welcome the long sunny days along with it. Keep reading to learn how to clean your BBQ in five easy steps! Written on Monday, April 09, 2018. 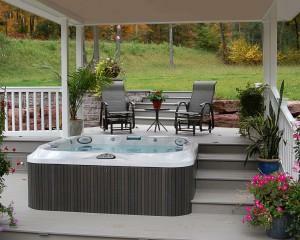 So, you’ve decided to invest in a hot tub? Investing in a backyard spa can benefit your life in many ways. 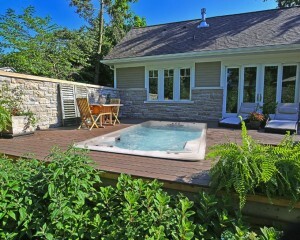 You can experience a variety of improvements in your health and social life with regular use of a hot tub. It can even give you a chance to revamp your backyard. 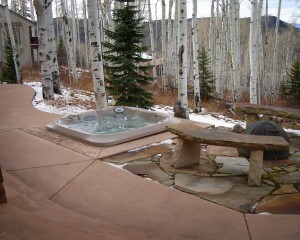 Buying a hot tub isn’t something most do every day, so chances are you might not be sure where to begin. So, here are five tips to help you get started! Written on Wednesday, April 19, 2017. Your home is your place of comfort. It’s where you can kick back and relax at the end of a long day. This can be especially true for your backyard. When you go outside, there’s no laundry to do or dishes to wash. The backyard is all about entertainment and enjoyment – exactly how it should be! There’s no doubt that your backyard should cater to all your recreational needs, but how does one begin creating a personal oasis? Keep reading to find out how to plan the perfect backyard! Written on Friday, March 31, 2017. 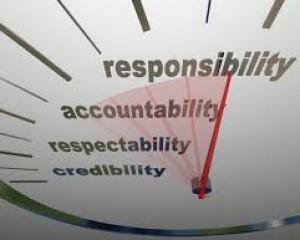 At Premium Home Leisure we always try our best to provide the best service, quality and value to our clients. On rare occasions clients aren’t satisfied. All feedback is important to us, and if we didn’t do a great job of explaining something or we dropped the ball in any way we admit it, and want to be held accountable so we can learn and improve from the experience. Written on Thursday, November 05, 2015. For just 1 week – Aug 1st – Aug 8th Premium Home Leisure is excited to be hosting the Jacuzzi® 7 sale! With savings of up to $4000 on the most popular Jacuzzi® Hot Tubs NOW IS the time to treat your family to the Jacuzzi spa of your dreams! Written on Wednesday, July 22, 2015. 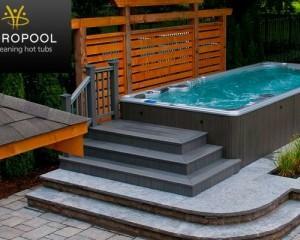 Premium Home Leisure Saskatoon are excite to announce we have added Hydropool Swim Spas to our fantastic product offering! 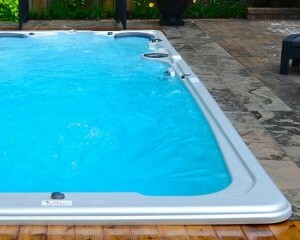 Stop in to Premium Home Leisure today to see the brand new 14 foot Hydropool swim spa on display! Written on Thursday, April 16, 2015. There are lots of places in Saskatoon that sell hot tubs, and there are many reasons you can choose the type of hot tub you buy. We believe there is nowhere else in Saskatoon that you will find a company is more honest or offers more expertise than Premium Home Leisure. Written on Wednesday, December 03, 2014.